Living the Primal Blueprint is all about taking ownership of your health and everyday choices. A lot of readers tell me that once they had made the commitment and jumped in with both feet they enjoyed a sense of control and peace with both their health and physical selves that they’d missed for years. For some of us Primal types, this experience might come fairly easily. Others’ journeys require more. For those with disordered eating backgrounds, food itself (not simply food choices) is riddled with a myriad of baggage. One reader raised the issue in response to my Ask Me Anything post a couple weeks ago. A few community members weighed in with their follow up inquiries and tips, but I thought I’d take up the question for this week’s Dear Mark. Clearly, compulsive eating isn’t about enjoying your food too much. Food is simply a vehicle for playing out entangled emotional scripts. For anyone dealing with compulsive eating (or other disordered eating patterns), the most essential thing you can do for yourself is to unpack the baggage and look at in the clear light of day. (Obviously, working with a professional and/or support group like Overeater’s Anonymous or Compulsive Eater’s Anonymous can help facilitate this process.) If you can examine your basic relationship with food – the associations from your past, the ongoing triggers for compulsive eating – you’ll be able to understand the emotional underpinnings of the compulsive behavior. You’ll be more equipped to see what’s coming, head it off or talk yourself down before the compulsive force takes hold, so to speak. Hey, that was my comment!! Thanks for answering it, Mark! Anxiety is the biggest culprit to many addiction. I did not realize I had anxiety most of my life till it was gone sometimes. Two things helped immensely with this. 2- I learned how to meditate. Meditation practice helps me focus on the moment. Addictive behaviors take you out of the moment so your awareness of what you are doing is skewed. I should add that I always said I could not focus long enough to meditate cuz I have ADD but when I was persistent in my efforts and took a class it eventually paid off. I think meditation is an excellent tip. Mediation is a practice that everyone should learn if one is having trouble with something similar to food addiction. Meditation can do wonderous things for the soul and will allow one to appreciate everything he or she has in life which is more then we all believe. It will help one slow down and live life in the moment. All of this will help one slowly, but surely trash the food addiction or any addiction at that. Mark-Thank you for tackling an often avoided subject in the health world! I am a bored eater. When there is nothing going on, I’m eating. I’ve found that when I take a fast day or three, it’ll help break my eating habits. I agree – for me fasting (short, usually 24 hours or less) makes me notice how often I wander in the kitchen just to see if there’s something there…So fasting for me breaks that cycle and reminds me that I really don’t need as much food as my behavior/brain/desire to procrastinate thinks I need. Yes, fasting really helps me too. Today I’ve found myself picking all afternoon – I told myself that it’s my body recovering from a big physical challenge I’ve just completed, but to be honest that was over a week a go now and my weight is just where it should be so really there is something else going on. Probably boredom, but also a lack of the next ‘thing’ now the big challenge has been completed. I find it’s always worth trying to unravel the ‘stuff’ as a way to regaining control. Since PB though fasting has proved the ultimate ‘fix’ something about knowing you aren’t going to eat anything for a whole day takes snacking right off the radar and you get on with other things. Hope that helps, and guess what I’ll be doing (or rather not doing) tomorrow! I was a very disordered eater, particularly associated with exercise! I am a “boredom eater” too. I have a desk job so I like to break the monotany by snacking. Granted, I snack on healthier things than I used to, I just have a hard time stopping at one handful of almonds. If it’s not accessable, then I get over my cravings. So, I’m starting an experiment of portioning my food & leaving the main supply out of reach. I think I also need to work on reprogramming my mindset. I have that same issue, and I do worse at home on weekends because I have the main supply right in the kitchen. My remedy for that during the work week is to pack my portions for the day, and leave the bags of almonds, etc. at home. Once I’m through eating my packed meal/snacks, I’m out of food… and it’s not an option to go to the snack machine due to my committment to a clean diet, which was not the case several years ago, although I still need help with anxiety eating if the food is accessible. Fasting definitely works for me too. I also try to just eat two or three meals a day. If I make my meals big enough, with enough fat, I can stay satiated between meals, and then I tell myself that snacking isn’t an option. It’s hard to overeat that way. Fasting helped me get a grip on disordered eating patterns as well. It takes the focus away from food and feeling like you need to eat constantly. Everytime I feel like I am getting off track I throw in a 24 hour fast. Compulsive overeating tend to make people feel guilty and so they punish themselves with more exercises or they starve themselves. None of which are healthy. As a behaviourist would tell us, punishment is not the best way to ”condition” someone because it does not teach the right behavior. Indeed, the guilty feeling you get is often going to lead to self-esteem issues too. One might be inclined to think ” I don’t have any will” or ”I am weak”. I would suggest trying to reward yourself when you do something ”right”. Set yourself goals and reward yourself with something when you accomplish one. Learn to love food without feeling guilty to eat them. It’s quite similar to what hockey players (or any other sports practitioners do)do. For example, when they play good, once in a while they go to the restaurant. This helps the team stay united and help strengthen the identity of the players. However, in this case, I believe the reward should not be food. I would suggest doing an activity you have been wanting to do (but did not have time) or something similar. Learn to reward yourself by using something else than food. Food addiction is complex but it can be ”cured”. Everything Mark said is spot on. I just wanted to add that you should reevaluate your relationship with food and try to make it a positive one. Positivity, instead of negativity, is always the best way to feel better. I actually had a vicious evil circle for years, since sugar (combined with caffeine) would me anxious, and then I ate even more. 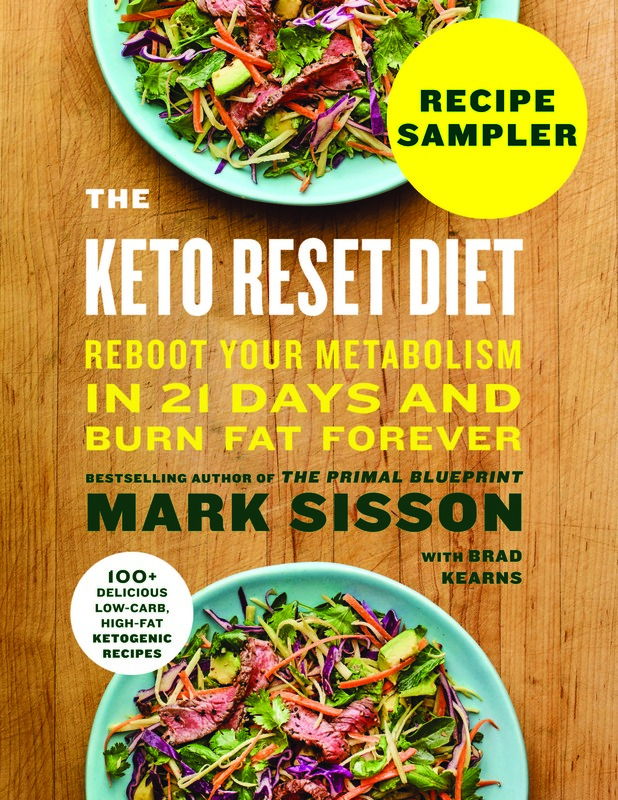 I had a 2 year process of cutting down on carbs (after reading several books, including the science behind it all in Taubes “Good Calories, Bad Calories”), but The Primal Blueprint finally gave me the last push away from grains. Now I feel a lot more relaxed, also because I am focused on not creating stressful events (Law #9). Yup, sugar and caffeine are both HORRIBLE for making anxiety worse. I suffer from an anxiety disorder and an eating disorder and – when it rains it pours – spiking anxiety by eating sugar or having too much caffeine makes my ED that much worse. Great post Mark, and Jean-Patrick you are spot on. The way to go is to “ADD” things to ones life. If we just go on “removing” things from our lives, we create a vacuum which will generally, slowly fill up with junk. If you want to kick the habit of compulsive overeating.. or whatever; add some meditation or light excercise – dont give too much importance to removing the habit, it will go away on its own. Thinking too much about it gives it staying power. And a word about meditation – it is not about focusing or concentration, it is about shutting up our constantly chattering mind. Next time any of you go for a walk, just remember to notice that we are mostly walking without being in the walk. Our minds are thinking about what chores have been left unattended and have to be completed when we are back or some other problem of the day. we forget to notice the fragrant flowers blooming by the sidewalk or the cool breeze. Make meditation, or staying with the moment, a way of life and you will never need to collect any other junk in the basements of your mind. This is an excellent point – adding things to your life, not taking away – something I needed to be reminded of. The last few years I haven’t had a lot going on in my life – other than a few drama’s that I’ve manufactured to keep myself occupied. But none of it has been meaningful. Going Primal, I feel better than I’ve felt in the last few years but haven’t had anything worthwhile to channel energy into. So I end up restless and bored and occupy myself with, among other things, food. Agreed, living in the moment does really help and it’s so easy to slip out of the good habits, I used to meditate but now I find that long walks, riding my bike, even swimming lengths in the pool can be a form of meditation if you allow yourself to be immersed in the action of what you are doing. Great post and a VERY timely reminder for me. “If we just go on “removing” things from our lives, we create a vacuum which will … fill up with junk. This strikes me as the way one deals with a toddler, in a good way. My mom always told me, you can’t just take something away from a small child, or they scream. You have to distract them with something else. Also, good assessment of meditation. To add onto the idea of positive thinking, it’s important to focus on what you want to do, not on what you don’t want to do. Instead of telling yourself, “I’m going to not over eat today.” try instead thinking along the lines of “I’m going to eat responsibly or eat the right amount today.” By rephrasing your goal you’re shifting your focus from over eating to eating right. It’s the difference between saying “don’t forget” and “remember”. Instead of focusing on forgetting, you focus on remembering and can be more successful in what you’re trying to do. It may sound silly but positive thinking really does help. Yes, I read this in a book before about the mind is a magnet and will attract exactly what is thought. When you tell yourself “I can’t forget to return the movies” , you will usually forget to return them. So tell yourself “I will return the movies”. It’s funny how our brain works, its a very complicated computer but just changing some words around can make a huge impact. Great post and great comments, I think we (paleo/primal) are some of the wisest people out there. Everyone pat them selves on the back for accomplishing everything you have accomplished this far! If it were as easy as you are describing, everyone would be fit, happy & healthy. 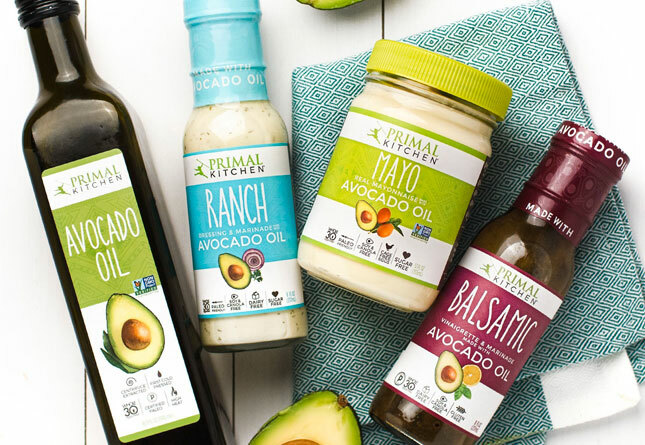 I understand where you are coming from and I have had a lot of success eating primal. However, when a lot of unexpected stress comes pouring my way, it’s not always so easy to just say, think positive and say I will eat right. This is coming from someone who is very fit, eats well most of the time, plays Ice Hockey three to four times a week and is 6’4″, 205 pounds, with lots of lean muscle and virtually no fat. Imagine what it must be like for people who are overweight, unhealthy and possibly depressed. I’m more of the belief that you have to take one step at a time and not punish yourself for setbacks. I can’t even do this all the time when I eat a couple of donuts or a bowl of ice cream. I have a decades long problem with both, binge eating and bulimia. When I am managing to eat primally, i do notice I improve – I don’t get on the blood sugar rollercoaster or overexercise myself into eating too much carb based rubbish. BUT I can’t just switch off years of disordered eating and so after weeks of managing just fine I am now in mid crisis again, eating out of control, not enjoying it but somehow unable to take control again and stop. Words of wisdom from me, only that planning the food day – and sticking to the plan – helps enormously (and IF is NOT a good idea when struggling with this). One other thing I have noticed – when i am eating “well” the cravings go, I am stable in mood – but I have a huge sense of loss, enough to make me sad, even angry. That may be the heart of the problem for me, food as “friend” as “comfort” albeit false and poisonous. How will I get back on the wagon, no idea. I plan for every day and try to stick with it – I plan to start again, from right now. Send positive vibes guys, I need your help! Denise, I share your food history. For me, IF can become a self-competitive issue that puts me in an emotional place I don’t want to be, so I don’t do it. I’m also a mental health counselor, and I can tell you that the sense of loss you describe is so very common among people changing disordered eating practices; it is much like leaving a bad relationship while frightened that nobody else may ever love us again. The key, for me, is to stay in the moment: “right now, I eat primally.” What happened a moment ago or what will happen in a moment isn’t my concern – it’s now, it’s this moment, it’s all I can control. Sending all the positive vibes I can. Kate – thank you so much. I don’t think I ever realised that the sense of loss is something other people get too – its easy to feel very alone with an eating disorder. 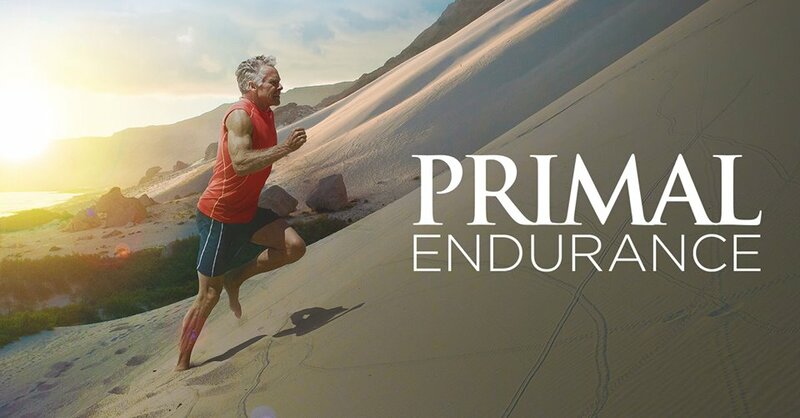 Primal was never about dieting per se for me – more about trying to get myself somewhere I could live a normal life and maybe finally get a healthy way of eating and exercising….. possibly even find peace with how I look. Perhaps trying to stay “in the now” will help, I spend so much time worrying about whats already in the past and planning for what I think I should do in the future. Vibes much appreciated!! Denise and Kate – sending you both my positive energy, good health and success. While I myself do not have an issue with an eating disorder, my wife does not have a healthy relationship with food. She suffers with clinical depression and often turns to food for solace. We have both read and heard, as Kate suggests, that living in the present is a very effective way to regain control; all you can control is right now. The other suggestion that I have often heard is to seek/create a support network – don’t try to go it alone. If not a “professional support group” like Overeater’s Anonymous, then at least a friend and family support group to help you, encourage you and send you more positive energy. I know I’m a bit behind with my reply (just getting caught up on my primal reading! ), but I am so happy that you posted this. I too have a history of bulimia and although I’ve been in recovery for 5-7 years, binge eating is still a challenge me – and sometimes it’s a daily challenge. Primal has definitely helped me get on a better path, but your point around a “sense of loss” really hit home. Kate – thanks for your advice. I’m definitely working on staying “in the now”… a work in progress! Like others have mentioned, meal planning and prep is key for me. My experience with bulimia has taught me that it’s not really about the food; it’s about control. Planning my weekly menu helps to give me control and has started to reinforce a more positive relationship with food – I actually get excited to try new primal recipes and look forward to cooking! Thanks for a great post Mark, and thanks to everyone for their encouraging comments. Denise, Kate – just rereading this thread and yes, ‘loss’, I really empathise with that. Primal eating since November last year has ‘cured’ (can’t think of a better word) my bipolar syndrome. I haven’t fallen off the Primal wagon at all in that time for what I eat, just I sometimes just keep eating when I don’t need to(all Primal stuff though). Just finished a huge physical challenge which would in previous times have give me a massive high followed by a massive low. This time I’ve been much more even, but I have to say may be the last few days has been more akin to a grieving for that massive high/stimulation (even though to avoid the massive low is a big relief). I certainly could make a case for eating as a method to re-awaken myself. Interesting stuff, may be my grazing this last week is trying to fill some void/loss. Have dealt with similar issues for decades as well and know how horrible it can be, so sending positive healing vibes, too. Although the extreme behaviors have been gone for a while and eating primally has helped very much with cravings (esp eliminating all forms of artifical and natural sweeteners), it does still linger in one’s mind and is something I need to keep on top of daily. Kate has a great point about “nowness” (which can be assisted with meditation and/or mindfulness). Setbacks are only that, and not derailments. Hang in there and know in your heart that you are getting stronger every day. oh guys, I am struggling. Such a bad day. BUT I can “begin again” now – somehow that is comforting. “where there’s life there’s hope” – after all i know intellectually AND physically that primal is the right way to go (I have had such bad reactions to all the sugar and rubbish i have gorged on these past few days – and i have put on 10 lbs (!!!!!) in 5 days) – so now if I can just get that click in my head – I’ll be off. This is a bit confessional for me really – but maybe its part of getting a hold on it, admitting it. Not “out loud” exactly – but … and the comments and support are SO welcome. Thank you all. Denise: today may be a bad day, but that’s history now. You have chosen to move forward & move in a Positive direction. That choice alone is a major step. One of the most wonderful things about this site is that it is a “safe haven”. You can come back here & reread all the comments, success stories, & supportive feedback, & it recharges you, reminds of the direction you want to go. We’re all behind you girl! I used to have a huge problem with craving sweet things, and it was just carb-crashing. It turned out to be a symptom of depression… the sugar high was a form of self-medicating. The solution to the depression in my case (it took me 7 years to figure it out), was to make sure I got enough direct sunlight in the day. Without it, I’d always be “sleepy”. That, and a severe lack of vitamin D from no sun (I was down around 13 ng/ml) impacted my serotonin and probably my testosterone levels. My advice would be to make sure you’re getting an hour of sunlight a day and take heavy doses vitamin D supplementation if you haven’t had much sun in the last year. It made such a huge difference in my life. That, coupled with eating a more primal diet has made me feel fantastic. I still haven’t conquered my sweet tooth, but it’s taking some time for my body to adapt to fewer carbs (I’ve only been doing this about 3 weeks). Vitamin D is indeed creating a big change in moods. I am always depressive in the winter period, but as soon as spring starts, I am much more optimistic. Too bad that I work at night, and sleep most of the daytime, so I have to get on the supplements (many people at work is suffering because of lack of Vitamin D). I’ve been struggling with emotional eating a lot lately. Work is very stressful for me, not because it’s demanding but because it’s actually boring and tedious with some office politics thrown in. I eat a LOT of food frequently whenever I’m at work, to the point where I feel sick and sluggish. Then on the weekends I easily eat at most 2 medium sized meals per day and feel absolutely wonderful. I have been able to identify the stressors and know when they’re about to send me into a compulsive eating episode, but this often isn’t enough to do more than delay the onset. I only have so much willpower each day, and it quickly gets worn out. At some point, the headaches and feelings of disgust are easier to deal with that resisting the food. Honestly, taking a 20 min nap has been the only thing that works, but is also the least feasible most of the time. OR just accept that you CAN eat healthy and exercise and gain lots of health benefits but may not necessarily lose weight. I know that fat people are often stigmatized as lazy and unhealthy, but there are plenty of examples where this is not the case and they are very healthy and unlikely to suffer health consequences. Is it about the weight or is it about eating healthy? Often primal/paleo is offered as a magical cure (as are most diets) but it is not. It is healthy, it is what we should eat, but it is not necessarily going to help you lose weight. Perhaps this shouldn’t be the central goal. Having said all of that I still struggle with this way of thinking. Great post! As a former binge eater, I think that the most important thing is to not feel bad and beat yourself up about eating. When I start to feel guilty about what I’m eating, then it just makes me want to eat more. I try to focus on how I “want” to eat for better health, not on how I “should” eat. If I focus on all the things I can’t have, it just backfires, so I try to focus on all the wonderful foods that I can choose from. Changing my mindset and not just the foods I eat has helped tremendously in getting over binge eating behaviors. I COMPLETELY agree, Carla! I found the thing that really helped me was to change the way I thought, about myself and about food. When I slip up, I know it is my old thought habits that are leading me in the wrong direction. “Should” has caused me WAY more problems than I ever imagined. Yes! I actually use that one. It is tooooo true. I have a hard time knowing if I’m really hungry or not. Due to farm chores I had a really tough week last week – 80 bales of 80lb hay to stack and 8 goat trims which is basically a half-squat with alot of shuffling around quickly for two hours. I just started primal within the last month and haven’t really implemented the lift heavy things principle yet. I felt like I was really hungry for about two days after those events all the time. Is it common after having to exert yourself more than usual to be so hungry and if it is are their better foods to eat to curb it? Or I did also have some stress over the weekend, could that be the real cause and maybe I wasn’t really as hungry as I thought I was? Great question! I myself struggle with compulsive overeating, and have found a lot of peace by eating paleo, I finally feel like I’m not fighting with food. Pay attention to what sets you off on a binge. Go ahead and give yourself permission to binge, and use it as a learning experience to study. 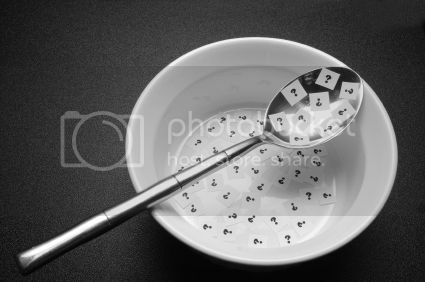 How do I feel before I eat? How do I feel while I’m eating? How do I feel now that I’m done? I’ve noticed that if I have low blood sugar, I’m more likely to want to binge. So, often I’ll just say, eat something healthy first (protein + good carb + fat), and then you can have what you want. Often, eating something nourishing calms me down and I’m okay. However, since you’re binging on paleo food, I wonder if that is completely the case. I found myself binging, and I think it was because I wasn’t getting enough fat. Also really pay attention to what you eat. If you’re going to binge, sit down with the food, set a nice table setting, light some candles, and really enjoy yourself. Don’t sit there eating watching tv and feeling miserable. Just give yourself permission, but really pay attention to every bite you eat. You will be amazed at how much less you will eat, and how your interaction with food will be different. I do have to admit though, this is the hardest for me, I’m such a tv+food eater. But yeah, just paying attention helps, gives you an idea if it is stress, or emotional issues, or blood sugar/nutrition issues. Then in the future you can pay attention to the signs when they are still small and you can make different choices, before they blow up to the point where you can’t resist compulsively eating. I think it is also important to not be hard on yourself (only makes things worse), but just be accepting, “okay, this is happening”, and gradually you can learn to make new choices. I also recommend books such as Intuitive Eating or books by Geneen Roth. Roth’s books are really good. I recommend “breaking free from compulsive eating” – I am reading that right now. I have problems with overeating only when I’ve fallen off the wagon and am eating carbs. I find it jsut doesn’t happen that I ever crave “just one more piece” of steak/egg/lettuce when I’m not really hungry — but potato chips or crackers, absolutely! I think it’s all about sugar/carb addiction and I would be interested to learn if the submitter of this question is currently eating a truly paleo diet. I have to agree Anne! I feel great after a fried egg for example, but I have a double chunk chocolate cookie and I’m magnetized and crave more… I think it may be a question of whether the submitter gave in and ended up on a slippery slope. Looking back, I know that seems to be my situation. Although, I suppose that the compulsion wouldn’t be so serious if the person didn’t have other issues. I’m finding these comments really helpful! Weekends are my weak spot. During the week, I am busy enough at work not to snack, in fact I often don’t eat lunch. during the weekend, with less responsibilities, I eat more and more often. I think it’s helpful to have a plan in place ahead of time. Basically, substituting a new habit is easier than just stopping an old on. You may have to try a few ideas until you find something you can do. If you have already decided your response, it makes it easier to follow through with it. when i’m in a stressful situation, i’ve been known to crave carbs (or a drink), but i’ve learned that sometimes it’s because what i really need is a b-vitamin fix! popping a b-complex tablet helps. A lot of good posts! This is not an easy topic but important to recognize– experts say that at least 1 in 4 girls and 1 in 7 boys have been sexually molested by age 18 –and that does not count all those who have been victims of emotional and physical abuse. Many children start using food as an escape from abuse. My father was physically and emotionally abusive–my mom actually prepared pretty healthy meals for the 60’s/70’s but dinners were hell with never knowing when my father might explode over some trivial incident. My stomach would hurt so I would pick at the healthy food and then later sneak into any sugary foods I could find and when I started earning my own money with babysitting I spent it on junk. One of my sisters struggled with bulemia for years- a good friend of mine struggled with anorexia (she was sexually abused by a relative). Bodywork such as Jin Shin Do Acupressure and massage really helped me to learn about the emotional aspects of my physical problems-far more than therapy did–though I know some people who have been helped by behavioral therapists I personally would stay away from psychiatrists whose main interest is prescribing drugs. and on a less serious note–it does help to reward yourself with something that is not food–I offer this suggestion to my clients who are trying to quit smoking or over eating: put the money in a jar that you would have spent on the bad habit and save it for a special treat. It could be a massage, new clothes, a concert, day at the spa or a vacation weekend–whatever feels good to you. Ever since I went primal 2.5 months ago I have enjoyed food more and more. Being able to eat meat, eggs, veggies and the like in abundance is a wonderful experience. Luckily for me, I have an incredibly high metabolism. I can eat a sick amount of food and not gain weight. I am working on gaining weight, muscle that is so I have been upping my protein in take as time goes on. Mark, I think you touched on this well in the post and I am sure a lot of readers have some great tips. I am not one to come to with this subject because, well, I can eat a lot and have no problem so I have not really tried to control it. I don’t overeat that much either. But, when I know I did and its primal food I don’t think much about it because its all healthy and my body could use the extra protein or whatever. 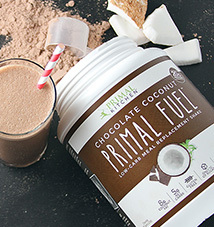 Another great subject when it comes to primal food. I sometimes eat more than I would like at night because I’m trying to stay awake when I shouldn’t. Having a semi-structured schedule for preparing for sleep every night helps a lot if one binges in the late-night. With that, making it a point to not stay up too late – keep in mind, a hard workout may require you to get to bed earlier than you’re used to (When I go surfing after work I start nodding off ~9-10pm instead of 11-12). ..the thing that seems to have no been said, or if it has and i missed it apologies to anyone thus offended, is that we are evolved to be greedy and overeat..how else could we have survived in an environment where food was erratically available ? Simon, I completely agree. We have evolved by dining on whatever happened our way, or that we stumbled across or stole! Soooo, when I crave a beer and a $.50 bag of doritos…I just consider it some trash that I sumbled across and consumed for the calories if nothing else…sometimes I am ravenous at 2 am because I work in the restaurant industry…so we dont get to eat when everyone ELSE wants to eat..LOL..and If I have not planned ahead, I leave myself vulnerable. BUT, mysteriously enough, I can fast with great success, for days at a time (if I intend to) and laugh at the folks who are “gonna pass out” if they don’t eat soon…. My Hubby, on the other hand , is 300lbs (I am a very healthy weight) and has no clue as to how to break the carb addiction he knows he has…..and is very stubborn to boot. He is convinced he is a “big (real) man” *sigh* and is fine jst the way he is…. The relationship we have with food is complicated. We mindlessly eat for a variety reasons…least of which is taste. Learning a beneficial food give and take, takes committment and mindfulness. As a binge eater, i can relate very well to this article. In all honesty, I come to this website and I read all of the articles and posts on the forum but I myself have not gone primal. Why? Because I’m afraid. i’m afraid that cutting out grains and most fruits will make my binging worse. I’ve read lots of posts about people who have overcome binging by eating the primal way. I’ve tried it for a day and just want to eat boxes of cereal because I feel like its a forbidden food. i love the concept of PB and believe in it but I’m afraid to do it because i’m afraid to fail. Hopefully I will believe in myself and really give it a go. I have been primal for about 2 months now and I didn’t think I would be able to do it either, as a former binge-eater. I can honestly say that I have never felt better in my life. I no longer crave candy, chips, pop, or other junk food, I don’t binge, I sleep better, my skin looks better, and I’ve lost about 15 lbs. Just think of it this way: challenge yourself to a 1-month contest of deciding whether or not the Primal lifestyle is for you. 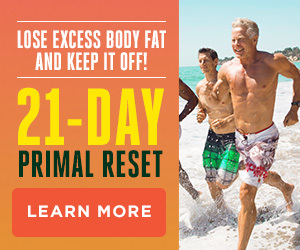 Give it your best effort for a whole month (30 days really isn’t that long when you have great Paleo/Primal recipes all over the internet and especially this site and SO many helpful tips and great support). If you don’t feel completely awesome and in control of your eating in 30 days, you can always decide to go back to your previous lifestyle or try something else. I have a sneaking suspicion that you’ll want to stick with it though! Good luck! boy do i relate to this – the very thought of changing can make me binge. BUT I am ready to give it a go – whats to lose really, I’m in a bad place now! Failing – well one big failure can’t be worse than dozens of small ones?? Not that its failing at all – of course i know that. go on – I will if you will! Two weeks after I started eating Primal I had a big craving for cereal. I was also overtired from packing for a big cross country move. What did I do? I cooked myself up a portion of oatmeal and smothered it in butter. It satisfied the craving and it has happened again since. Thank you for this post, Mark! I’m a compulsive eater. Even after all the weight loss, I still struggle with it. Sometimes I win. Sometimes I lose. Right now I’m feeling the compulsion to snack, even though my stomach is satisfied. My coping mechanism? I tell myself “Just think of how good you’ll feel tomorrow morning when the scale goes down a little.” I remind myself of how good it feels to be proud of myself for making the right decision. It feels way better than anything can taste. Mostly the problem comes in when I don’t take the time to think before putting something in my mouth. It still happens sometimes. strange. im the opposite. i cant eat at all when im upset. my stomach gets all knotted up and i cant keep food down. Wow! Really great comments so far & very inspirational ones as well. I’ve been struggling with bulimia/binge/emotional/compulsive eating (whatever you want to call it!) off and on for several years now and I come to a new place of healing and acceptance every time I move into a better cycle. I’m hoping to be able to cut this cycle soon and I’m really committed to doing so. I think in the beginning being able to find support somewhere outside of yourself, someone or something to hold you accountable to yourself is a good place to start..
I’m wondering if anyone here has any experience w OA meetings and if so what was your experience like? Simon, I would disagree. Even in paleo times, there were times when food was abundant for long periods. Ancient peoples knew how to save and store food. You also see this with successful tribes in current times. Yet tribes eating their natural foods do not get super fat. At a certain point, weight gain is no longer useful to survival as it will make you weak and slow and less able to obtain more food and so being very fat is NOT natural at all. Anyway, I think it’s nice to see psychological issues being addressed here as valid issues. I agree that metabolic issues are hugely underrated by most doctors, but sometimes I see too strong a reaction the other way in the paleo community, as if ONLY metabolic issues were real and there were no other valid factors. SOmetimes there is an attitude that eating paleo by itself will solve all problems, and although it IS an important tool, sometimes that is just not the case. As a woman who has struggled with overeating and binging for most of her life I understand this completely. I am more then 150 pounds overweight(and i have been overweight since the age of 3) and I have overcome my binge habits. I started binging when I was 12 after going on a stupid very restrictive diet. It didn’t end until a little while ago and I am 44. It was not easy and it took a long time. I would order to meal deals at mcdonalds, just for me. I had to come to terms with food and find a new relationship with it. I had to stop feeling guilty when i ate because the guilt would make me punish myself with more food. It was like suicide. We find a cure and start the healing process only when we as individuals decide it. I also had to come to the understanding of my food addictions. I am highly addicted to sugar, it is a drug to me. I have tried several “ways of eating” that restricted sugar but I have to say that the paleo has been best so far. I have more energy, I don’t crave sugar anymore, I am off my antidepressents, I am losing weight and i am hoping to lower my blood pressure meds soon. Winning the war over binge eating is very difficult. I know that it will always be a part of me and something I will struggle with probably forever. But I feel good about myself that I currently have it under control. Keep up the good work and way to stay positive. Hiya Mary! Yes, my problems with bingeing also began after strict dieting as an adolescent. There’s a lot of evidence that now shows that dieting as an adolescent female actually sets one up for an eating disorder further down the line. Geneen Roth talks a lot about this. In fact, she goes so far as to say that for every diet jag, there will be an equally intense binge cycle following it. In my experience, this is definitely the case. Besides going Primal, the best things I’ve ever done for myself were to throw that freakin’ scale away and go to my first Overeaters Anonymous meeting. Yep, that post is definitely for me. Even since going Primal over a year ago, I have daily bouts of trying to maintain discipline, as my brain wants me to keep eating even after I’m no longer hungry. In January of 2002 I weighed 315 lbs. I saw a picture of myself and thought, WOW! I did not realize how big I was. I had always been overweight, but not that big. I started eating like a diabetic, cutting out most carbs. I started with one small goal at a time. I had so much weight to lose It seemed overwhelming. The more weight I loss, seeing the results made me want to eat healthier. to add on to the meditation advice, try looking up “the five contemplations while eating”. It’s a Buddhist monk practice, so it’s written in a more spiritual way but I think if you turn it into your own meaning it works great. I think my disordered eating stems from not having enough food growing up and having to fight 6 siblings, and my dad for what little there was. When we had food, you ate as much as you could as fast as you could to hopefully fit in more because you never knew when your next meal was going to come, literally. Now, while I have food available regularly, I find when my fridge and cupboards are full, I don’t want to eat it. It creates a sense of security while although false is very comforting. Once the food starts to diminish from the fridge and cupboards I switch into panic mode, ‘eat now while you can because it’s going to be gone soon.’ I am the wage earner in my house and do the majority of the grocery shopping so I know that we will have food again, but that logical part of my mind can’t seem to convince the emotional part that it’s OK and we don’t need to freak out when food levels start to get low. I’ve been using fitday.com to try and keep my food intake level each day. So far I’ve been managing just on will power, telling myself I’ve had enough for the day and I’m not hungry, or telling myself I need to eat more and not to worry about the food levels. But the panic is still there because it’s two days till pay day and 5 days till shopping and I’m constantly battling with myself about the food supply running out before then. Sometimes I over eat, sometimes I don’t eat at all becuause I want what we do have to last as long as possible. Neither are healthy but it’s a hard cycle to break. For me food equals security but not eating it, just having it in the house in abundance. Does anyone else have this type of situation going on too? Yes, my Sister-in-Law’s mother is just the same. Came from a very deprived background (lack of food, uncertain supply thereof) and has cupboards and freezers full of food and offers far more food than is required. And she’s in her 70s now having had a very good adult life with no financial worries, I guess patterns learned/experienced in childhood are strong determiners of adult behaviours. I found that my triggers are work stress and missing workouts. when this criteria is met I overeat. When I’m in that mode I try to step back and understand what triggered the eating, and it helps; sometimes. Eva hola and thanks…..Please perhaps re-read my mail. I did not say nor suggest that being fat was natural just that our drive to eat voraciously IS perfectly natural and i’d wager that our drives to eat whatever, now all the shite thats available, were hardwired millenia afore we became good at some level of food storage too. For me, compulsive eating is all about the food. Not other problems. I have no desire to overeat healthy fare. The things I want to eat until I can’t breathe would be food like pizza, ben&jerry’y, Doritos, etc. So, I just don’t eat those things and Im fine. Awesome post! I’m finding it’s all about the concept of intuitive eating. Which is what I’m working on in my own life. This post is definitely encouraging! I’m a holistic nutritionist, a personal trainer and most recently an EFT practitioner. I struggled with my weight since puberty. Binging/Purging and emotional overeating were a major struggle for me. Having that food/weight history is what drove me to learn about nutrition and fitness. I was always looking for the way to find peace with food and weight issues but I didn’t realize I would find it with emotional work. If you are struggling with food, you owe it to yourself to learn about EFT. EFT stands for the Emotional Freedom Technique, it’s sort of like an emotional version of acupuncture and it is phenomenal at helping people identify and release the REAL reasons that they don’t honor a commitment to themselves. You can learn the technique for free, just look up EFT, there are TONS of resources on the web. My website has a free teleseminar on using EFT for food and weight issues. Any addiction is driven by some type of anxiety and EFT is the fastest, easiest and most powerful tool I’ve ever found to release that anxiety. You can also use it to quickly dissolve food cravings as well. EFT has changed my life and the lives of many of my clients. As mentioned by another poster, Geneen Roth’s books are also fantastic and helpful. But nothing beats having a wise 12-step sponsor who loves you and looks out for you that you can call while pulled over on the side of the road (which I have done!). Primal eating (and certain supplements [amino acids, 5-HTP, fish oil]) help tremendously for the very real physical/biochemical aspects of this disease, but that’s only part of the picture. 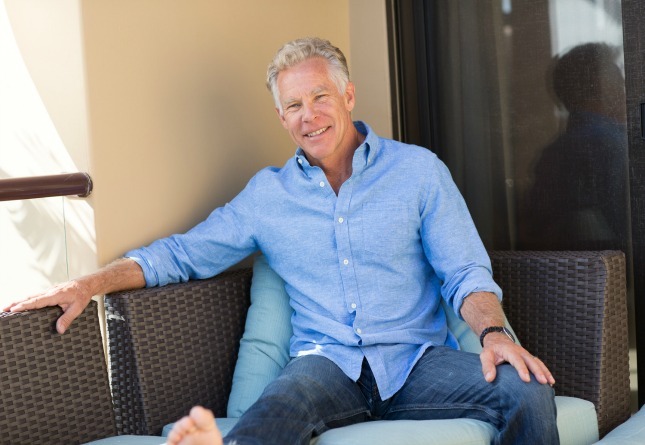 Honestly, I am pleasantly surprised how spot-on Mark Sisson is in this post. “Normies” usually don’t get it. But Mark does. I have been a compulsive overeater since as long as I could remember. I believe this behavior was borne partly out of a sugar addiction. Since I began the pd I would say that the co is 70% gone. I have noticed that all of the foods that I would binge on in the past are carb-heavy: ice cream, cookies, chips, etc. Now that I have eliminated them and they are not an option anymore the overeating has declined dramatically. I still sometime overeat on paleo foods but not nearly with the severity or frequency that I did on the starchy fare. It’s a huge improvement. I am a work in progress, and hopefully there will be a day when I can leave this disorganized way of eating behind me for good. I think this is a great post. I’m really glad to see Mark cover this topic. There are SO many people out there that feel they are alone in dealing with this. Obviously, (proof from these comments) this is not the case. For anyone who has issues with compulsive eating and/or food addictions, I highly recommend the book “The end of overeating: taking control of the insatiable North American appetite,” by David Kessler. This book goes into great detail to explain the addictive properties of various foods (especially highly processed junk foods), and how the food industry and changes in societal norms lead us to overeat. The book is mostly a summary of various research studies; thus, it doesn’t offer too much in the way of suggestions on how to curb these addictions and compulsions. That said, the suggestions it does offer are practical, easy to implement, and will appeal to the pragmatist. And knowledge is power. For me, just having a complete understanding of how I have been manipulated was enough to “reason myself” out of my junk food binges (for six weeks and counting!). I’m starting to accept the fact that I have an emotional eating problem. Recently, I decided to do the Whole30. I was doing great for two days. Then I became stressed over life things: busy schedule/overlapping meetings/my missing cat/ a fight with my partner, and fell heavily off the wagon. And I mean OFF. For two days now, I have been eating ice cream, cookies, battered fish, french fries, and I feel like absolute crap. How much damage did I do to myself? It’s difficult because I don’t look like an overeater. I’m about ten pounds overweight, and desperate to fit into my old jeans. However, I carry all my weight in my curves. I’m told that I look curvaceous and womanly. My obsession with my body, however, won’t let me take that compliment. I know I could be healthier, and I know I could be thinner. I feel just awful about falling off the wagon. If I weren’t in the middle of my work day, I would probably be in tears over it. I know exactly how you feel. Don’t worry, you haven’t done that much damage to yourself, just get back on track with your next meal and don’t wallow in guilt. Having so much emotion and obsession about food and your body is a horrible way to live. I know because I lived through it myself for many years. 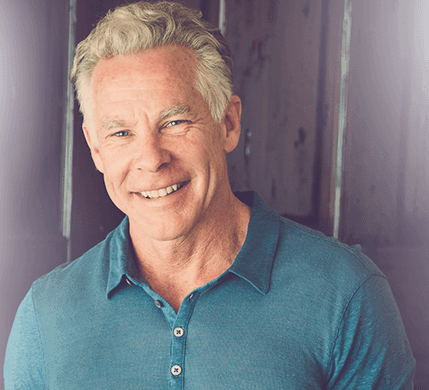 Although I love Mark and the primal way of eating, it too can lead to obsessive food behaviours that are limiting and can have a negative impact on your life. It’s just food, for goodness sake, it’s not worth getting this upset over, and let me tell you, that advice comes from years of struggling with food. I’m now a holistic nutritionist, sports nutritionist and personal trainer. I work with people all the time on overcoming the emotional ties of food and poor body image. I’d be happy to help you if you’d like to chat on Skype sometime…I live to serve. 🙂 You can email me at ellie@evolutionwellness.ca if you’d like to chat (no charge of course). Ellie, I’m going to look into to EFT. It sounds like something that will really help me. I’ve had an unhealthy relationship with food for years. It’s been better since I went primal a few months ago, but I do agree with you, Ellie, for those of us who obsess over food, it can sometimes exacerbate the problem. That said, I’m rarely overeating processed/high sugar foods anymore, but I do find myself overeating primally with spoonfulls of nut butters, protein bars, and dark chocolate bars. I started taking amino acid supplements -GABA and Glutamine- a few days ago and it seems to be helping. Dinner at 7:30pm was the last thing to enter my mouth before bed at 11pm the other night. That hasn’t happened in years! Night-time has always been the most difficult. Also, after reading some in Gary Null’s Food-Mind-Body Connection, I plan on taking liquid zinc as soon as possible. I know it has been years since anyone has posted on this thread. I was a bit surprised that binge eating doesn’t come up in more threads. I have had a lot of success with the Paleo lifestyle in the last month or so. I switched because I wanted to feel better physically. I noticed that it also helped me feel better emotionally too. I do not have a weight problem. However, I am a sugar addict. It’s definitely a soothing drug to me. Today is the first horrible day since turning Paleo. It started with a huge Sushi dinner three days ago with a lot of Saki. Today I ate three donuts, a small bag of oreos and a croissant. This was in addition to a great paleo lunch with a great salad and grilled salmon. Now I feel terrible both physically and emotionally. This all happened while I was at work feeling depressed. Hopefully, tomorrow will be better.